Even if you don’t care about YouTube stars, the music alone could be worth the asking price. YouTube is finally going ad-free, for a price. On Tuesday, Google announced YouTube Red, a $10 per month subscription version of the world’s largest streaming video service. It’s launching on October 28 in the United States. 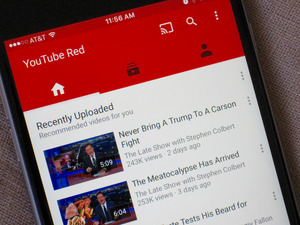 Offline playback: YouTube Red users lets you store videos on iOS and Android phones and tablets for up to 30 days, limited only by the amount of storage on the device. Video quality is adjustable, so you can dial down the resolution when space is running short. Just keep in mind that if you leave the United States, any videos you’ve already saved will work, but you can’t save new video until you’re back in the country. 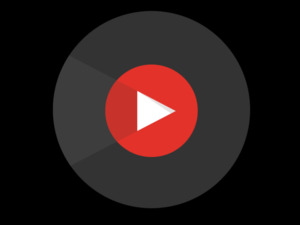 Google Play Music: A subscription to YouTube Red also gets you into Google Play Music All Access, the $10 per month streaming music service that’s similar to Spotify and Apple Music. It includes millions of on-demand songs, along with ad-free Internet radio. Likewise, if you subscribe to Google Play Music All Access, you’ll automatically get YouTube Red at no extra charge. Background videos: On iOS and Android, video soundtracks will continue to play in the background if you switch to another app or turn off the screen. This makes the most sense if you’re watching a music video or anything else where audio is the main component. Exclusive content: YouTube is partnering with some of its star video creators to create new programming just for Red subscribers. The lineup includes a reality-adventure series with Felix “PewDiePie” Kjellberg, a satire of reality singing competitions by the Fine Bros., and a full-length action comedy film from Rooster Teeth and Fullscreen Films. (See this Variety report for the full list.) The first wave of programming will arrive in January. As for the lack of advertising, it’ll apply to both YouTube proper and YouTube Gaming, Google’s answer to the popular game streaming service Twitch. The only case where ads can slip through is when they’re embedded directly into a video by the content creator, as YouTube has no control over those. In other words, if a video announces that it’s about to break for a word from its sponsor, you’ll still see that ad in the stream. One more disclaimer: YouTube already offers some paid content in the form of individual channel subscriptions, movie rentals, and pay-per-view purchases. You won’t get a free ride for any of those things with YouTube Red. 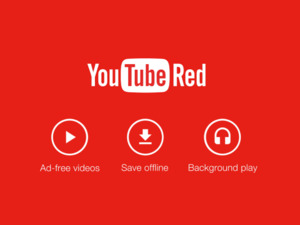 So who’s YouTube Red for? At the moment, Google is aiming it at music enthusiasts. For the same price as Apple Music and Spotify, you get a comparable streaming music service, plus a whole bunch of extra benefits. But in the long-term, it’s possible that YouTube Red could become more of a competitor to Netflix, Hulu, and Amazon Prime. YouTube doesn’t have the same type of premium content, but don’t forget there’s a whole generation of viewers who care far more about Minecraft videos than they do about Better Call Saul. 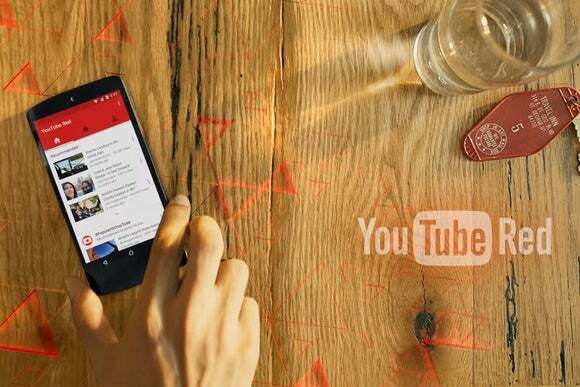 YouTube Red could become their video service of choice as they start to have more disposable income.